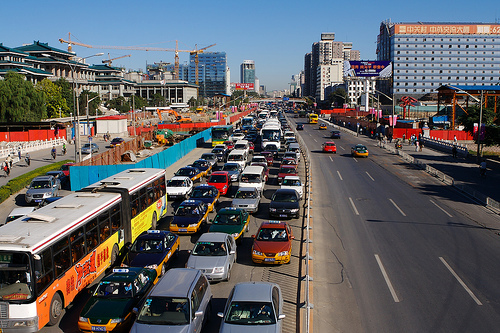 » Blog » Updates » Where’s the World’s Most Painful Commute? 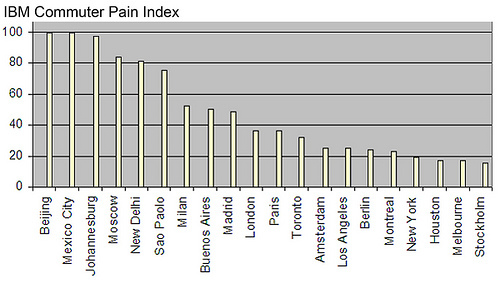 Home » Blog » Updates » Where’s the World’s Most Painful Commute? 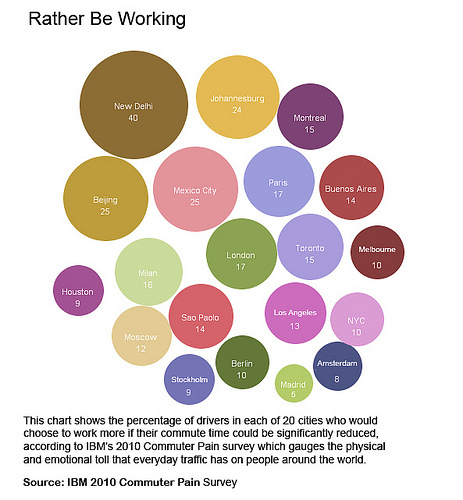 For the study, IBM surveyed 8,192 motorists in 20 cities on six continents. The majority of respondents said that traffic had gotten worse in the past 3 years. Interestingly, no U.S. cities were in the top 10. Thought traffic was bad in the U.S.? Try booming megacities in Asia and Latin America. “The congestion in many of today’s developing cities is a relatively recent phenomenon, having paralleled the rapid economic growth of those cities during the past decade or two. By contrast, the traffic in places like New York, Los Angeles or London has developed gradually over many decades, giving officials more time and resources to address the problem,” IBM reports. And if you thought there wasn’t anything worse than being at work and are a fan of “Would rather be golfing” stickers, you might be surprised to see the number of people who said they’d work more if their commute time were significantly reduced (see the chart below). So, there you go, think twice before taking a job in Beijing, Mexico City, Johannesburg, Moscow, New Delhi, or Sao Paolo. Until they create a more balanced, sustainable transportation network, at least.